Pumpkin Cupcakes – Happy Halloween! 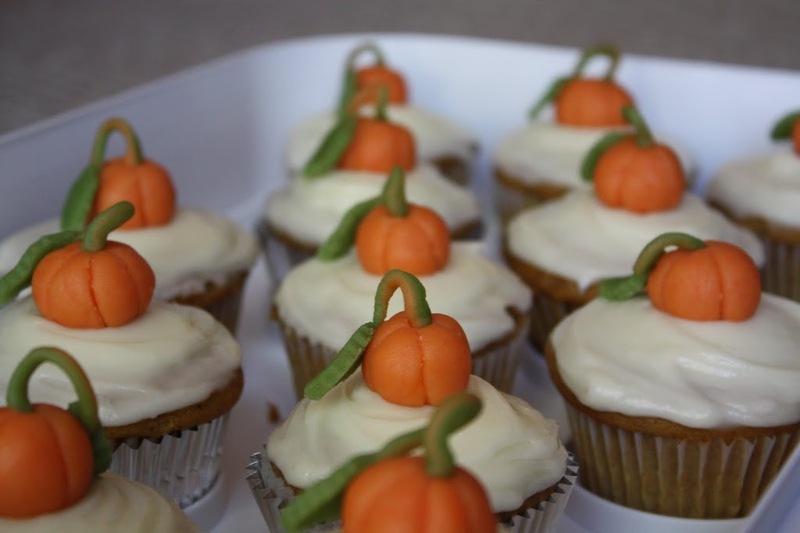 For the office Halloween event this year, I handed out chocolate chip walnut cookies and these pumpkin cupcakeswith cream cheese buttercream and handmade marzipan pumpkinsin lieu of the usual candy fare. These cupcakes were made at 2am once again, but well worth it to see the trick-or-treaters at work look so eager and happy. I never received cupcakes for Halloween as a kid, but I guess I like to hand out what I would have liked to receive! 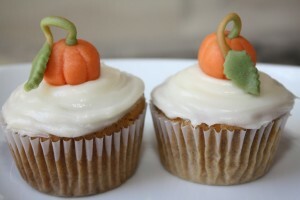 1 Comment on Pumpkin Cupcakes – Happy Halloween!